Anyway, Country Life is one of Dairy Crest’s brands (the milk people), which is how we get the link to the milkman. I think that having milkmen deliver the boxes is a great idea, especially as they were at risk of becoming an endangered species as more and more of us get our milk from shops. The website is not the easiest to navigate so here’s how you get to the relevant page. First click this link then put your post code in the ‘Can We Deliver’ box on the left to see if there are deliveries in your area. 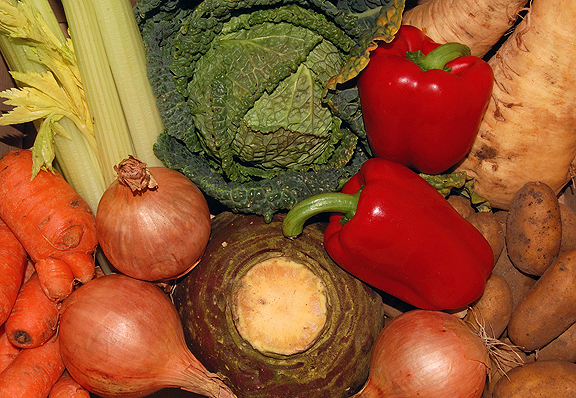 Then click the ‘Organic’ section to see all their organic ranges which include the fruit and veg boxes. 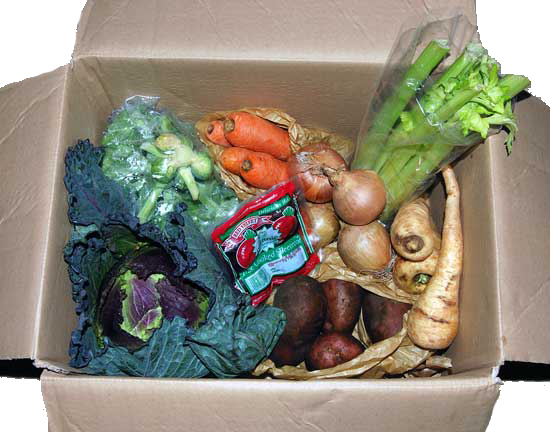 There is a range of boxes to choose from, including: • Vegetable box • Salad box • Fruit box • Mixed box • Small mixed box. Currently the prices range from £8.00 to £14.50. The boxes I get are priced at £11.50. One of the good things about this scheme is that, if you know you are going to be away, you can call them and ask them not to deliver. But you don’t have to have a box every week of the year. If you have a Dairy Crest milkman you can use the order form, which can be downloaded from the page at the link above. Simply mark it with your choice of box and then tick either, ‘This Week Only’, ‘Every Week’ or ‘Fortnightly’. Then you just leave your form for the milkman to pick up. You can order by web or phone, too.